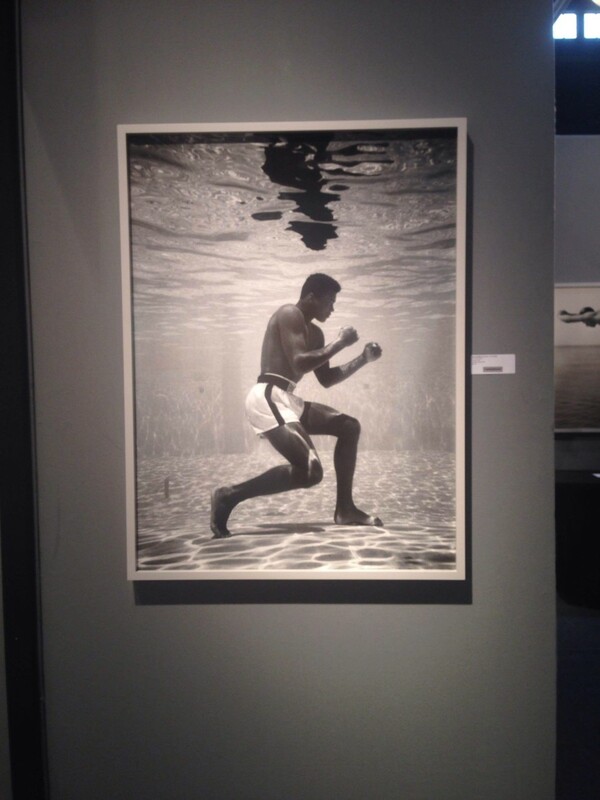 This weekend we attended the AIPAD 2015 show at the Park Avenue Armory in NYC. 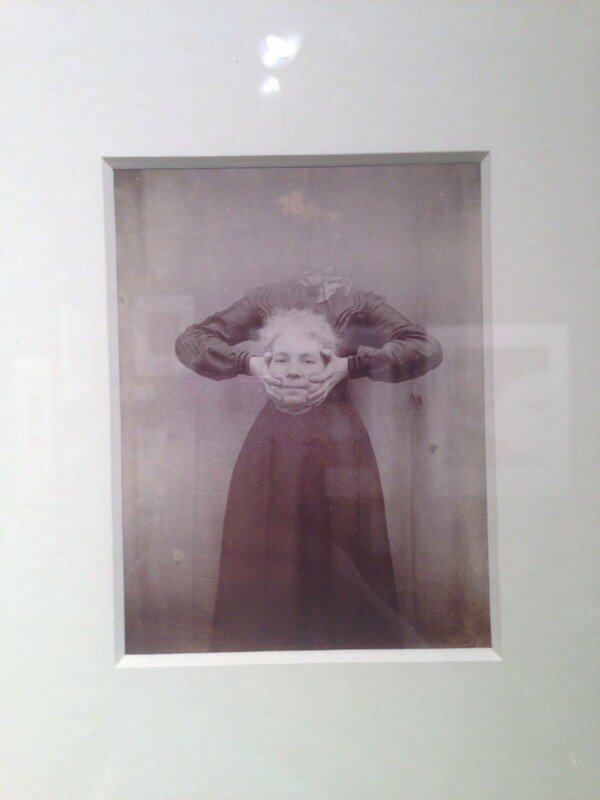 We love all the art shows in New York, but this one strictly focuses on photography – both contemporary and classic, and we couldn’t get enough. 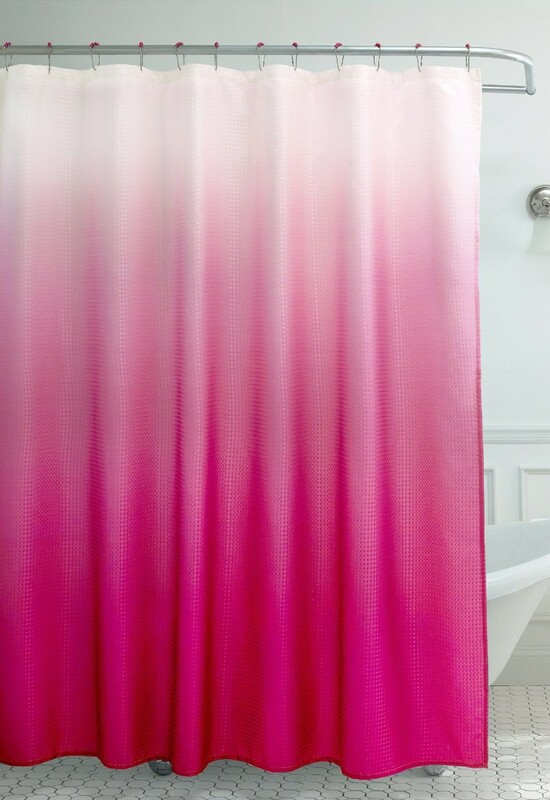 Get the look with this ombre pink shower curtain from Amazon. 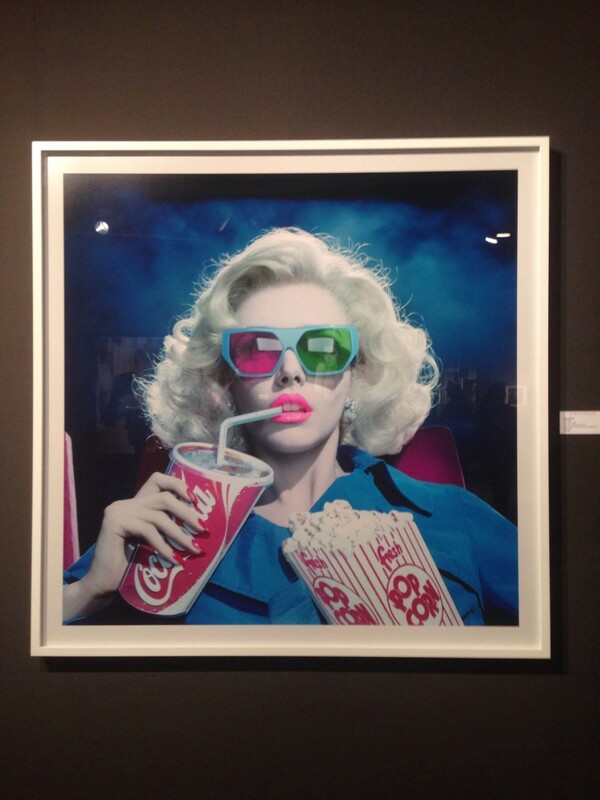 This was the only Miles Aldridge photo spotted at the show, but its glorious colors and juicy texture were so satisfying that any more would be overkill. 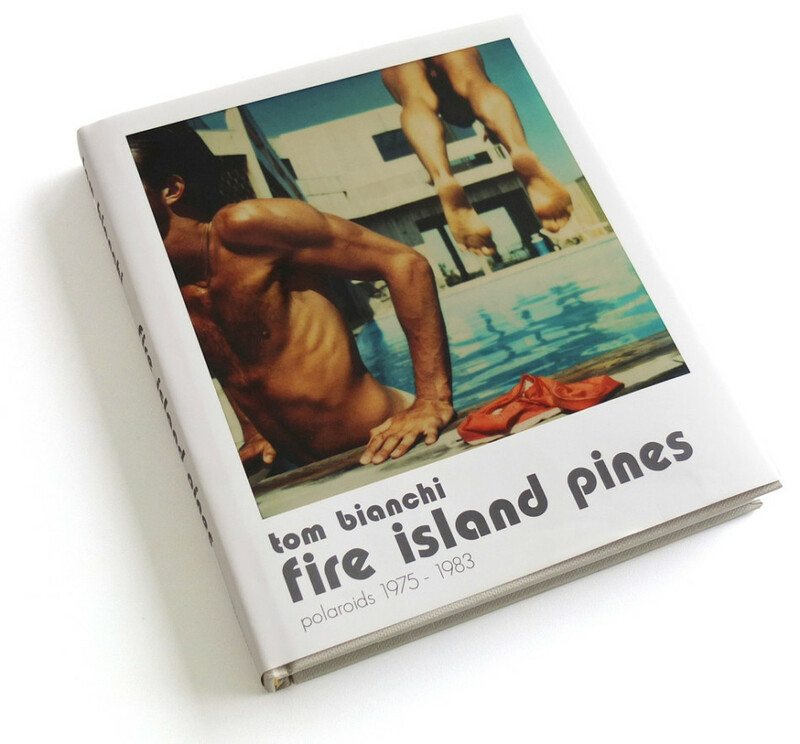 Get your fix with this Rizzoli book of his work. With 250+ pages of pop-off-the-page neon fashion photographs, your eyes will be recovering for days. 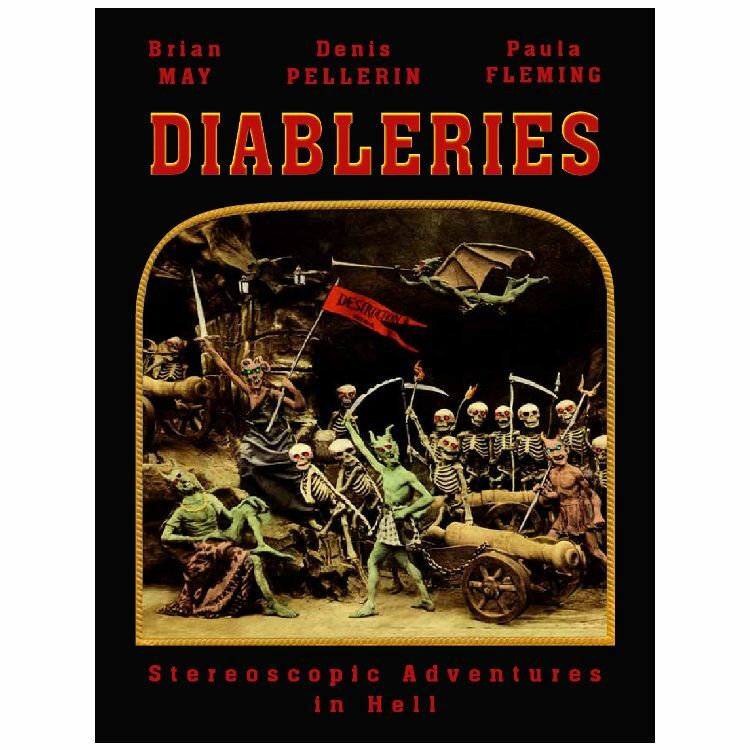 …and to our surprise, we found a poster version available on Amazon. Seeing that Comic Con and Halloween are just a few weeks away, why not prepare with some of these fanboy favorites? All under $35.99. 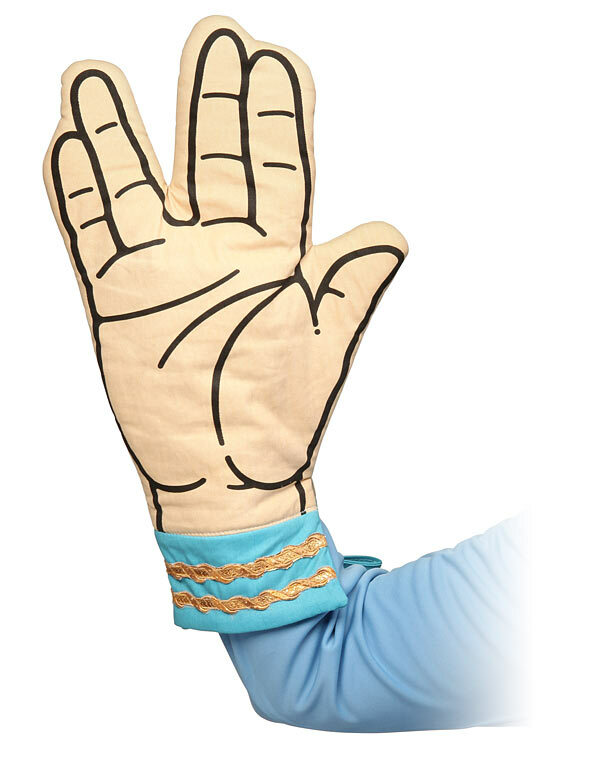 The Star Trek Spok oven mitt seems like a clever replacement for the ubiquitous foam finger at sports events, although it probably won’t protect you from the wrath of a confused alpha male. Or you could just use it for baking cookies, I suppose. 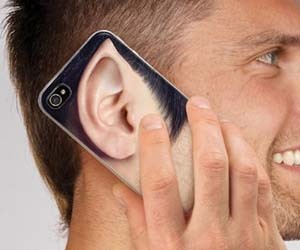 As if the Spok Mitt weren’t enough, get a load of this iPhone case from Retroplanet. It’s all the fun of having Spok ears without the commitment. Welcome to the future: The Snuggie is now cosplay-friendly. I love how the faces in this Amazon customer image are pixelated to avoid maximum humiliation. Choose from Batman, Superman (the cheapest one, why? 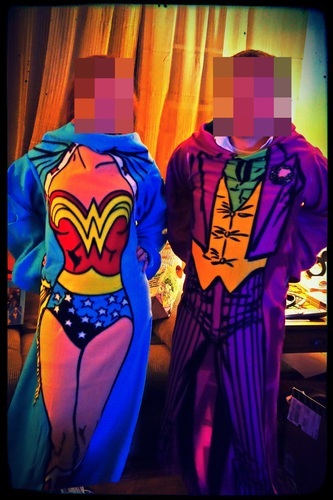 ), and Wonder Woman to keep you nice and cozy this winter. Nerd. Contemplating The Club for your Batmobile? 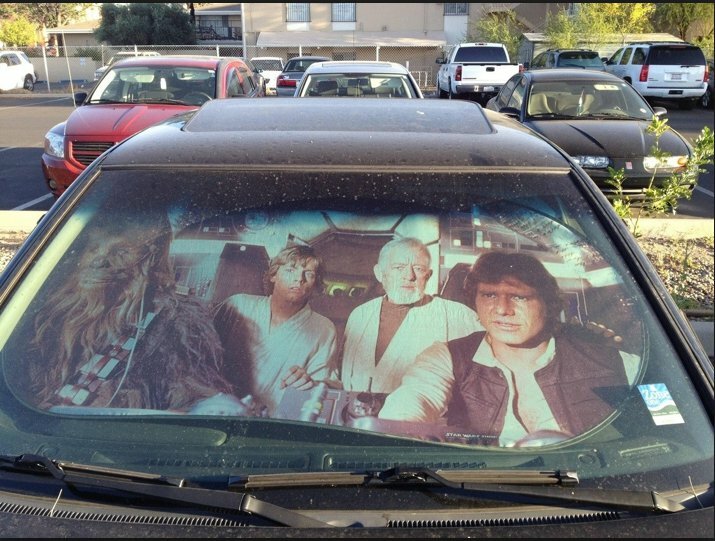 Who needs it when you could have this convincing Star Wars sunshade on your dashboard! How about a Slutty Dalek costume for Halloween? 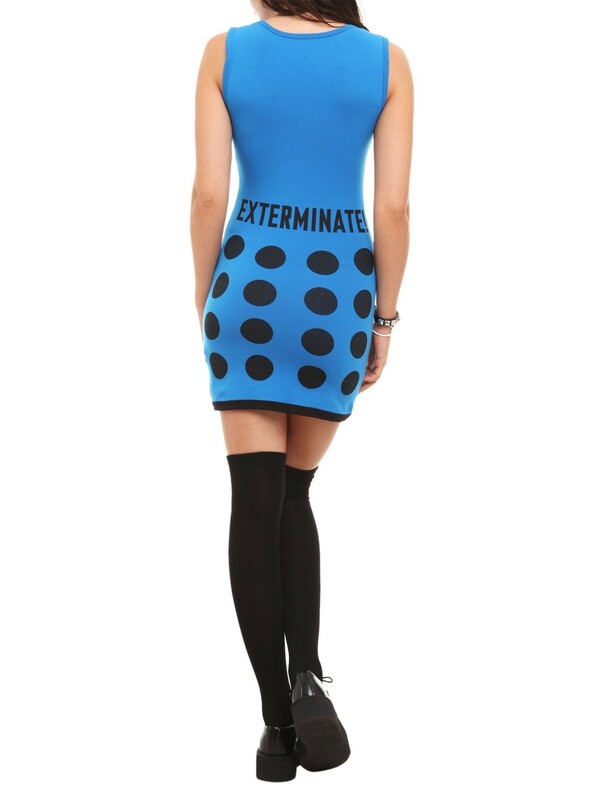 You can even sort of get away with wearing this Doctor Who dress on normal days. My limited apartment space has made it tricky to pursue all those creative projects that I’ve kept on the backburner for much too long. So lately I’ve been thinking about rearranging my living room to create the ultimate studio space in lieu of the generic sofa-plus-coffee table layout. What better inspiration to get those juices flowing than Warhol’s Factory? Sifting through photos of the Factory remind me of the basic rules for a great workspace: keep it cool and simple. With seating and storage used sparsely where needed, the Factory feels laissez-faire—a blank slate to let ideas flow, but with a mind-boggling silver backdrop that instantly adds the necessary hip factor. It’s business and party all in one. The Bentley Silver Pouf from One King’s Lane is perfectly priced to allow for multiple quantities when company arrives. It adds that funky silver touch without the commitment. A stylish chair that’s also comfortable is key. I’m partial to this Swan Wool Leisure Chair from Overstock. It’s all about the basics when it comes to a good desk. I especially like Ikea’s mix-n-match series, perfect for putting together a custom no-frills table top. This Linnmon/Finnvard model is tiltable for optimal painting and drawing. 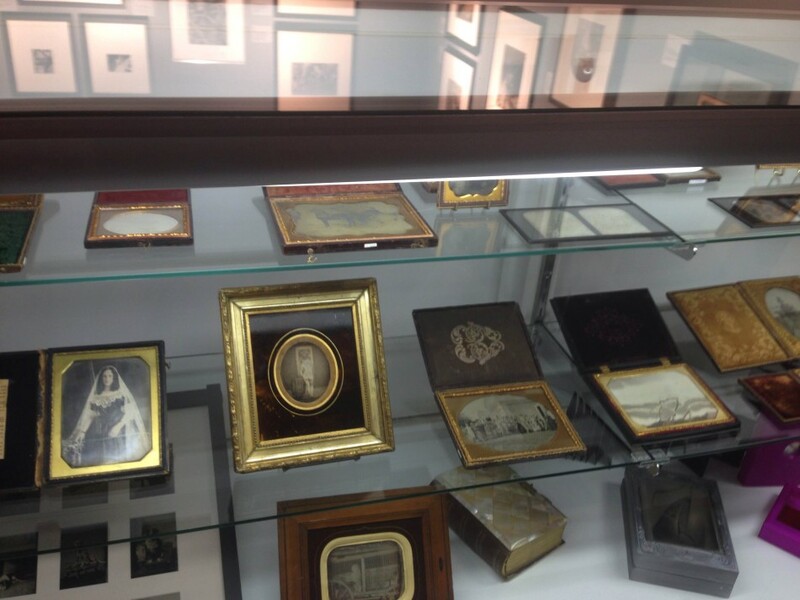 Say what you will about Ikea, but they know how to do storage. The Hellmer drawer with casters is a fresh take on the usual filing cabinet, and its mini drawers are the perfect size for storing art supplies. It’s not complete without a little objet d’art, like this eye-catching yet minimalist retro lamp from West Elm. For additional work lighting, add simple task lamps where needed. A Factory-inspired studio wouldn’t be complete without an Andy Warhol print. If you love pop art but you’re bored of the ubiquitous Marilyn and Campbell’s Soup Cans, change it up with something surprising. 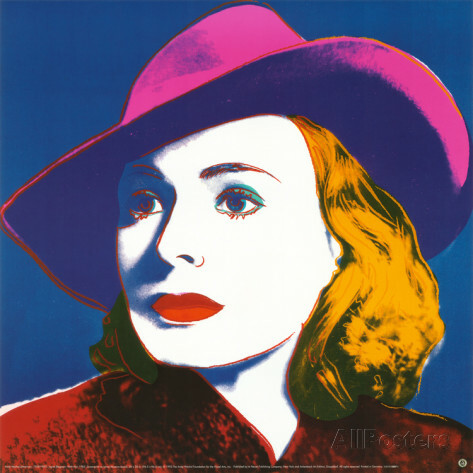 Allposters.com has such an incredibly thorough selection of Warholian wonder to choose from, like this portrait of Ingrid Bergman. A large print like this one adds a pop of color to a muted backdrop. If you live in New York, check out Casa Lever (a restaurant designed after an airplane cabin and decorated with over 20 oversized original Warhol portraits) for inspiration on hanging Warhol prints. A studio/home office should feel like a place you want to spend time in and express yourself, because why stifle your creativity in a bland environment? If you’re feeling up for it, try painting one wall silver. 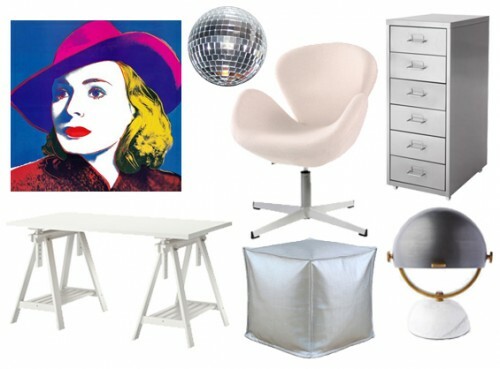 Add a disco ball for good measure, and you’ll be channeling Warhol for your next project! Ever since I saw the James Turrell show at the Guggenheim in New York last Fall, I’ve had lighting on the brain. Turrell’s masterful shaping of light has made me look at the possibilities of art and design in a whole new way. Wowed by his light installations, I started looking into alternative lighting for the home. James Turrell reminds me that light can be 3-dimensional­, so I’ve found some amazing Turrell-inspired lighting below. Thanks to updated designs, we no longer need to settle for generic Christmas lights. I previously posted about the Restoration Hardware fab-orific light garland in my Double Duty Holiday Décor Guide, but bulb string lights are also a fave of mine. I’m sure you’ve seen these pop up a lot lately, from restaurants to outdoor events to rooftop terraces, the bulb string lights add vintage romance instantly. It’s like Paris in a box (of lights). The dioder LED light set from Ikea offers the most versatility when it comes to designing with light. Position these color-changing light strips virtually anywhere – under the bed, above cabinets, under a desk, behind a tv, for a futuristic look. Designed by Peter Bristol, the Corner Light is the perfect embodiment of multi-dimensional lighting. Although a pricier alternative, it’s such a minimalist statement piece that you won’t need much else to complete a room. Sconces are often overlooked when it comes to lighting, yet there are a boatload of sconce light designs just waiting to be noticed. I like this Caged Edison Sconce. Screw in a different light style whenever you feel like it for a whole new look. Neon signs are the perfect choice for 3-dimensional décor, they provide a unique source of light while doubling as wall art. Search “neon sign” on ebay to see a hearty selection of affordable neon delights, or get one custom made. For the commitment-phobe, fake it with this color changing dvd. Just hit play to transform your TV into a James Turrell light installation. When it comes to having fun, backyard will never disappoint you! There is so much stuff you can do with it in terms of entertainment. Some solutions are rather cheap while others are costly. In the end it all depends on your preferences. Here are some of the things that are currently popular and that will do wonders for your backyard next summer. Not everybody has the money to build an in-ground pool. However, if you are one of the lucky ones, you will definitely have something to look forward to. Companies are really diversifying their offer when it comes to pool equipment. Besides standard slides and springboards, today you can even opt for something more extravagant such as grottos, sitting areas within the pool, hot tubs and other insanities. Nevertheless, you should never forget your basic pool equipment and accessories such as the pool pump (check out these products) and cleaning products. Although pools are great fun, they are also a great responsibility. This is why you will have to prepare for the upcoming season in advance and check all the systems. As if we haven’t had enough of TV in our home, we also need to carry it outside. Anyway, if you already love watching TV and relaxing, it is definitely a much better option to get a backyard TV and spend time outside, breathing the fresh air and enjoying the sun. Today, you can buy big screen TVs for such incredibly low prices. If you have a big family, you can even get an inflatable TV which is easy to move and set up. If you have a bigger, covered patio, you can even install an immovable TV that will be stationary during the whole year. It is a small investment that will go a long way. There is no real reason why you should stay home during the summer. Naturally, you still need to make sure to have a nice and cozy cover from the sun. So, the best solution is to cover your patio. As previously mentioned, covered patios are great as they allow you to install a TV. However, there are some other benefits. For example, you can even bring out a TV outside. If you have enough space, there is an option to set up a table and have lunch outside. Basically, every relaxing thing that you’ve done inside of the house can be taken out in your backyard. Although flowers have more of a decoration purpose, they are a great option for all those who love to be surrounded by nice colors and pleasant smell. Most people have a few flowers in their garden but only a few homeowners go overboard. Flower patches are great for relaxation and relieving stress. Colors have a positive impact on your brain and together with fresh air; this might be just the thing you need to relax. Besides TV, video games should also be considered. You can bring them out and have a blast with all your friends. There is no need to sweat on the couch given that you can go out and play while having a nice cold beer. If you are not much into console games, you can always go for something more active such as playing Ping-Pong or backyard basketball. If you’re not using some of these methods, you should definitely consider them. Backyard is really fun and by investing minimal time and effort, you can create a peaceful haven for the next summer.